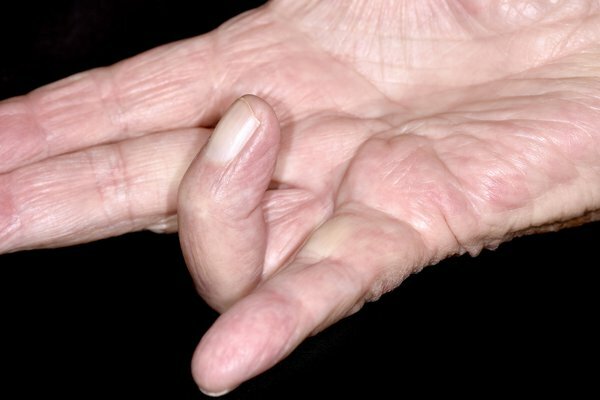 Dupuytren's contracture is when 1 or more fingers bend in towards your palm. There's no cure, but your fingers can be straightened if it's severe. Dupuytren's contracture mainly affects the ring and little fingers. You can have it in both hands at the same time. It tends to get slowly worse over many months or years. Treatment can't usually help in the early stages. Other conditions can have similar symptoms. You'll probably be offered treatment. Your GP may refer you to a surgeon to discuss your options. You can ask to be referred to a hospital of your choice. Speak to a surgeon about the options, what the benefits and risks are, and what to expect afterwards. Your finger may not be completely straight after treatment, and might not be as strong and flexible as it used to be. The contracture could also come back after a few years. There are 3 main types of treatment. A cut is made along your palm and finger so the surgeon can straighten it. Medicine is injected into your hand to loosen your finger. The surgeon then straightens it a few days later. A needle is inserted into several places along your palm and finger to loosen and straighten it. Recovery and aftercare can vary. You can often start using your hand again after a few days, but it may be a few weeks before you can return to all your activities. Dupuytren's contracture happens when the tissue under the skin near your fingers becomes thicker and less flexible. It's not known if you can prevent it or stop it coming back.